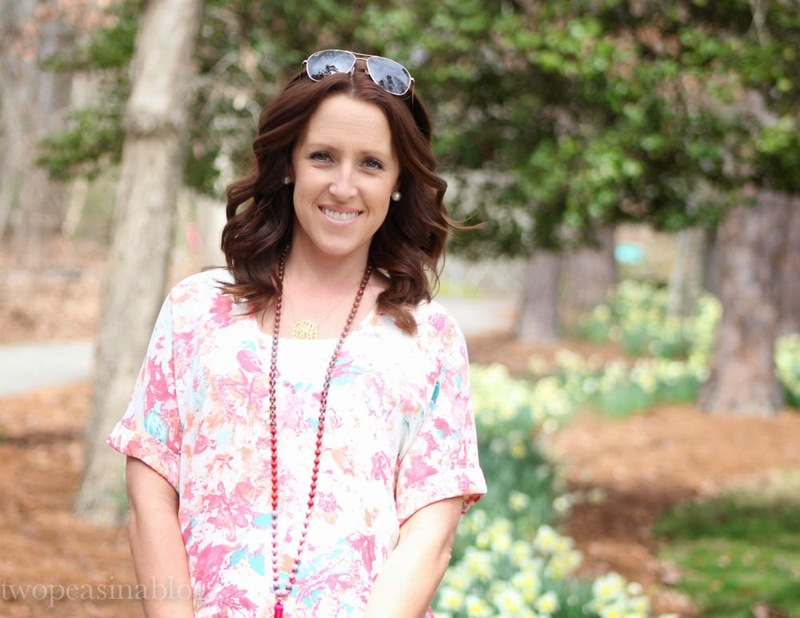 A pretty floral blouse and pale pink pants are a springtime match made in heaven. 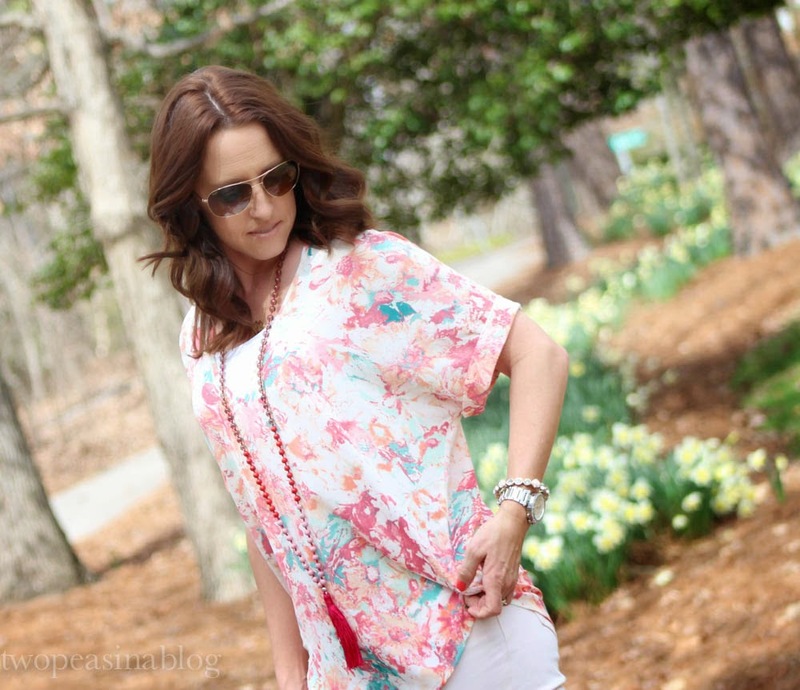 This blouse is by Lush from Nordstrom and it also comes in other patterns and solid colors. 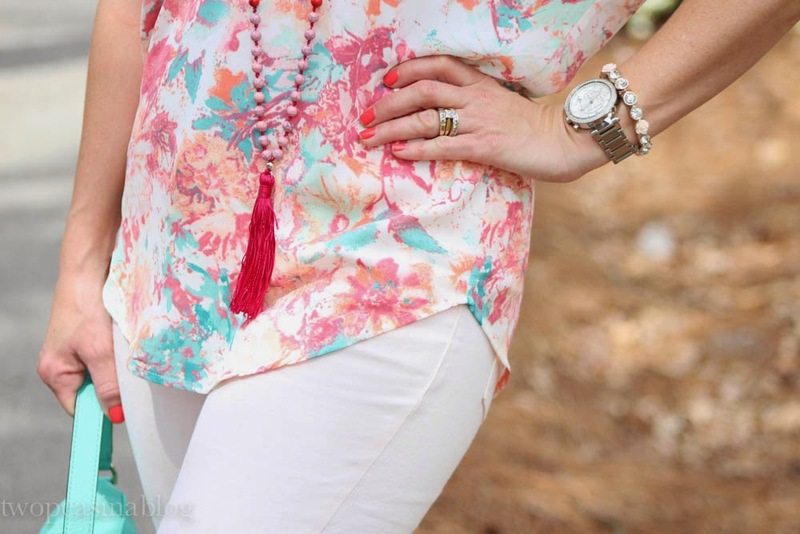 A simple blouse is such an easy go-to. A must-have in your closet. 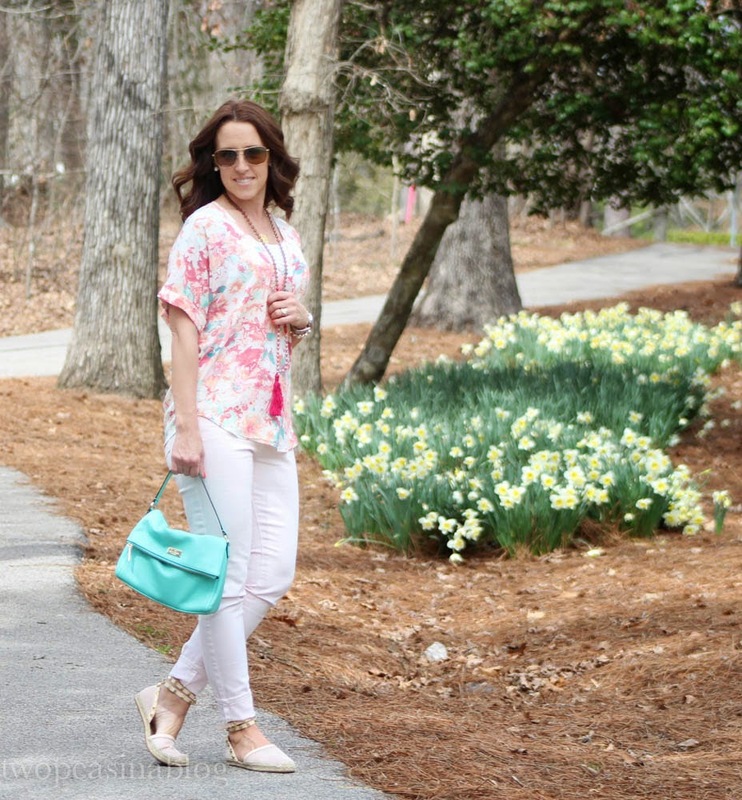 These Old Navy Rockstar jeans are amazing! I also have them in yellow which I wore in this past post. They are so comfortable with just the right amount of stretch. My jeans have to be comfy! Another great thing about the Rockstar jeans is that they are a thinner material perfect for the warming weather. Now on to my favorite part of this outfit, my new espadrilles! A new friend, @styles4momma on instagram, spotted these while we were shopping at Saks. Love at first sight! I'm wearing the blush tone, but they also come in black and cream and cream. They are so comfy and the stud details are amazing. And of course I'm wearing a tassel necklace. This one from Ily Couture matches the blouse perfectly. 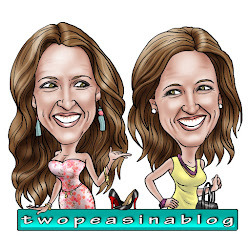 Remember the tassel post we did earlier this week? It's a great place to shop this popular trend. 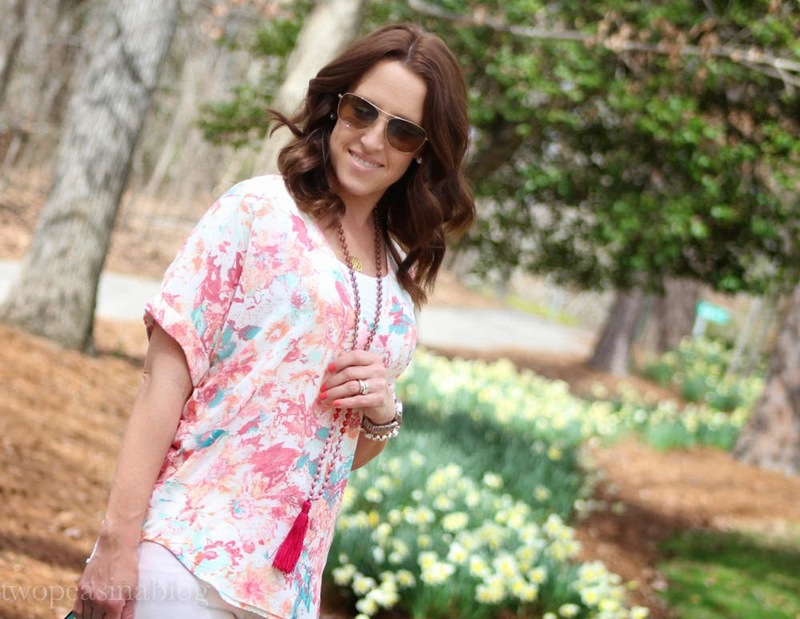 I can't get enough of tassels this spring, so fun!